(1)A plant; see picture of Mickey and Minnie under the mistletoe below. (2)Christmas custom, any two people who meet under a hanging of mistletoe are obliged to kiss. 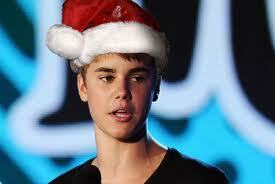 (4)He wants to be together with his girlfriend under the mistletoe. (5)He should be: playing in the winter snow, chilling with his folks, making a list. Next week Celebrity English will feature a Tom Cruise Christmas Memory! Sorry the video is not available to the general public anymore. See you after Christmas! 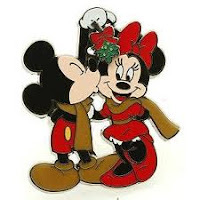 Mickey & Minnie Under the mistletoe!